Zhilian mould are specialized in making different type of plastic mould for injection molding machine. We have into mould area for more then 10 years. Product range: plastic water buckets moulds, plastic food buckets mould for injection molding machine, 5 L pain buckets mould maker , China bucket handle mould supplier,thin wall bucket moulds, 10 gallon bucket handle moulds. paint bucket moulds machining process: paint Bucket mould drawing confirm- mould drawing recheck by design department- order steel material-machining for mould base-machining for paint bucket mould cavity and core- EMD machining – spare parts preparing-check -fitting-assembly- mould trial. We have rich experience on making paint bucket moulds, we could help customer to modify the bucket appearance.We could make 2D &3D bucket mould design for customer. make high qualities bucket mould for customer. Mould base:usually use 45# for water bucket moulds, 45# steel prehard more then 30Hrc. Cooling system:improve cooling channel, increase the bucket mould manufacture effectiveness, reduce the cost for bucket mould during your production. treatment for injection paint bucket mould: hardening and tempering, increase the hardness for steel. 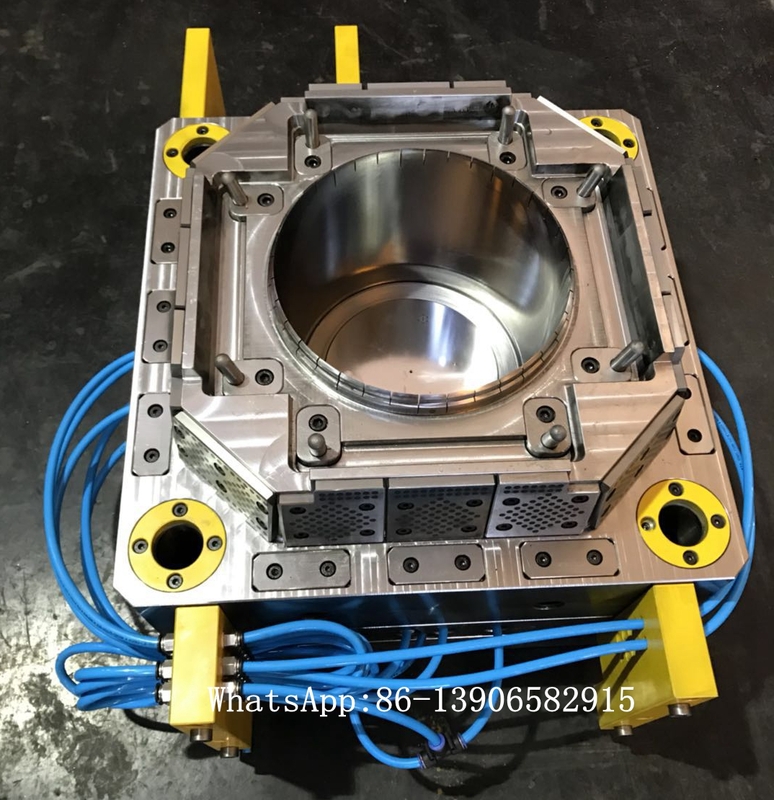 Nitriding for paint bucket mould could help mould cold faster,less deformation,keep high hardness on the mould surface and abrasive resistance. Mould shipping preparing work: mould leg, lock block,customer demands cooling connector will be supply.Rust inhibitor will be spray before packing.Wooden box will be package outside the panit buckets mould. Good cooling system, short delivery time, best after- service.